Sen. Al Franken, D-Minn., will speak at a fundraiser on Friday, Aug. 10, to support the Wood River Community YMCA in Ketchum. Franken turned from work as a regular performer on "Saturday Night Live" to a political commentator with books like "Rush Limbaugh Is a Big Fat Idiot" and "Lies and the Lying Liars Who Tell Them," which criticize conservative politicians and pundits. But satire turned serious when the former comedian got elected to the U.S. Senate. 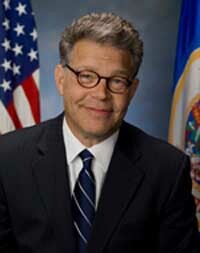 Today Franken, a graduate of Harvard University, is known as a serious junior senator from Minnesota who regularly grills business executives and conservative lobbyists on the floor of the Senate. To register for either the golf classic or Franken's talk, go to www.woodriverymca.org or contact Mike Wolter at (208) 928-6702, or email mike@woodriverymca.org.